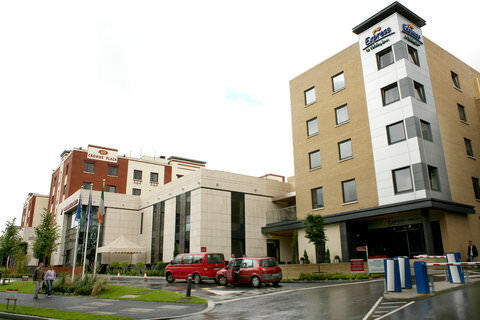 The Holiday Inn Express is a modern and fashionable airport hotel, located adjacent to the Crowne Plaza in Northwood. The Holiday Inn Express is a 3 star hotel for the budget traveller. Guests are offered a free airport shuttle service, a free hot breakfast and free wi-fi during their stay.